From the HBO hit show “Girls,” we get the series’ first soundtrack featuring a boatload of rising bands, including new songs from fun., Santigold and Grouplove. The soundtrack also includes a new exclusive song from Michael Penn. The tempo of the album is all over the place, beginning with the upbeat, pop sounds of “Dancing On My Own” (Robyn) and “I Love It” (Icona Pop). The up-tempo dance beats clash with the more mellow folk sounds of Harper Simon’s “Wishes And Stars” and Belle & Sebastian’s “I Don’t Love Anymore” to create a very erratic sounding disc. One of the fun moments is The Vaccines’ “Wreckin’ Bar (Ra Ra Ra),” before the disc closes with the heartfelt “On My Way” from the iconic Michael Penn. This soundtrack was released in January which also kicked off the second season of the show. 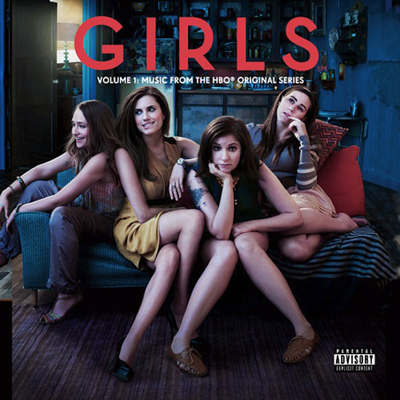 For more information on the HBO series “Girls” and the music from it, please visit hbo.com/girls.